One way streets frustrate me, and I usually end up wasting a lot of time and gas driving in circles to get to my destination. Generally speaking, I prefer a two way street. 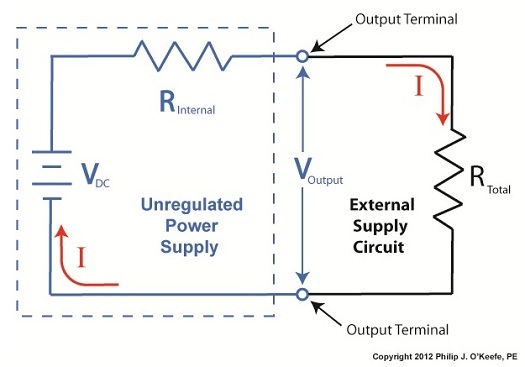 Electric current flowing through electronic circuits is somewhat analogous to traffic flow. There are circuit paths that act like one way streets and others that act like two-way. 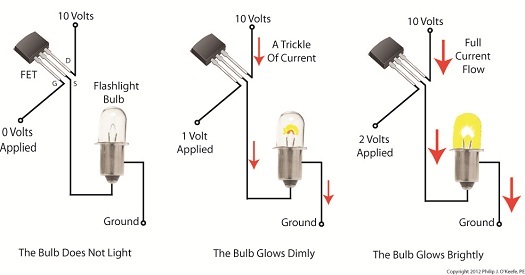 An electrical component called a diode can be used on circuit paths to govern the flow of current. 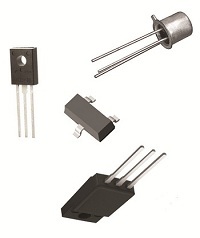 They are a key component in basic transistorized voltage regulator circuits, as we’ll see later. 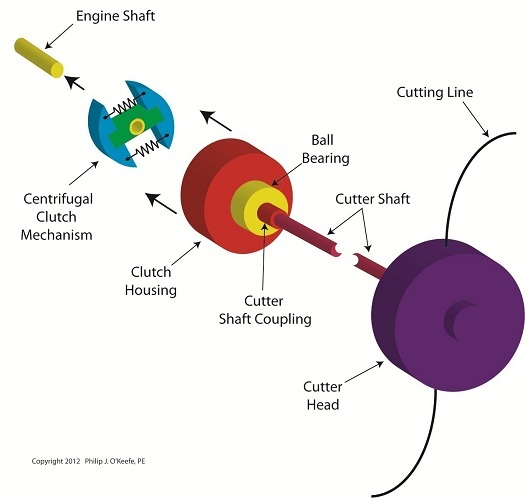 For now, let’s get a basic understanding of how they work. 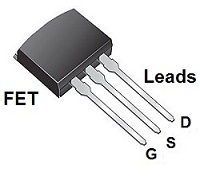 Diodes are typically made of a semiconductor material, such as the element germanium. These materials behave in a complex way that fall along the lines of quantum physics. Esoteric phrases such as electron-hole theory, crystalline atomic lattice theory, and impurity doping are some of the concepts involved and would require a book onto themselves to explain. For the purposes of this article all we have to know is that semiconductors have two properties. The first property is that of an electrical conductor, that is, a material which allows electric current to pass through it. Copper wire is a good example of this. The second property is that of an electrical insulator, which blocks the flow of electric current. Materials such as glass, wood, and rubber fall into the insulator category. 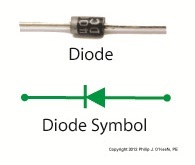 A photo of a diode is shown in Figure 1, along with its symbol used in electrical schematics. When electric current flows through a diode in one direction, as shown in Figure 2, the semiconductor material inside of it acts as a conductor, ushering it along a single path. 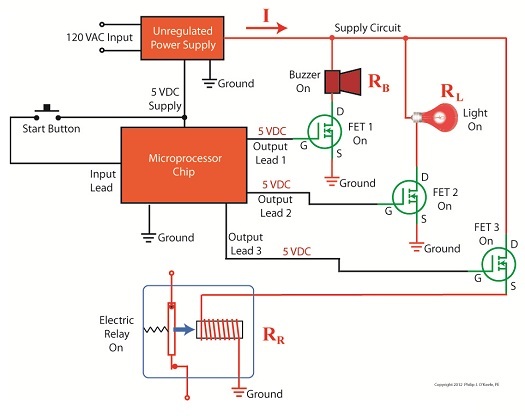 When current tries to flow through the diode in the reverse direction, the semiconductor material acts as an insulator. 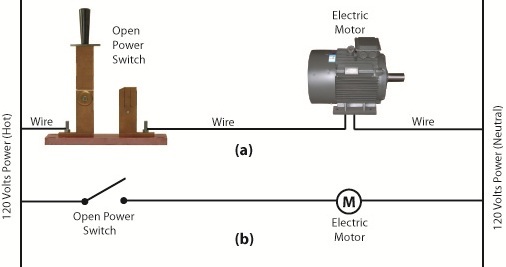 That is, it blocks the flow of current as shown in Figure 3. 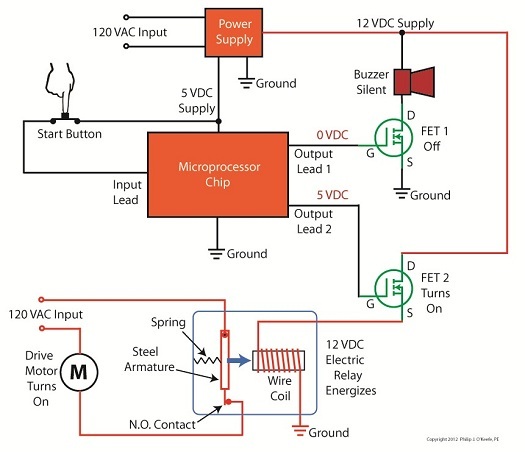 So we see that diodes can act like one way streets, restricting current flow. 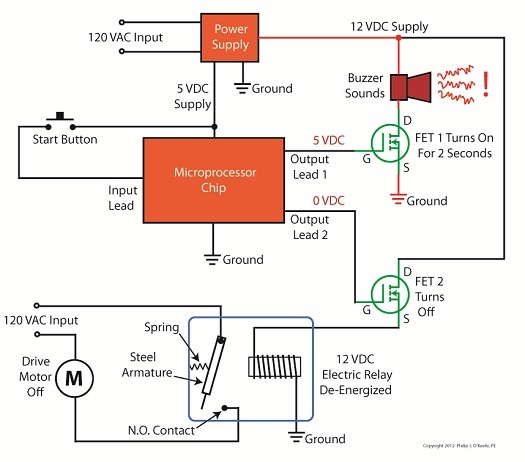 But, not all diodes work this way. 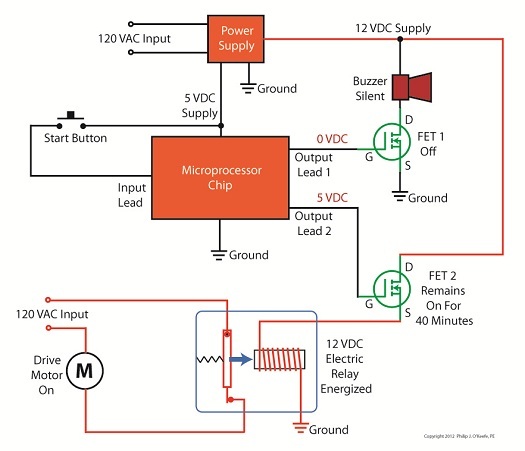 Next week we’ll introduce a special kind of diode called the Zener diode, which allows current to flow in two different directions, and we’ll see how this functionality is put to work in regulated power supplies.